We are so grateful to the many generous supporters of Fairgate Farm. 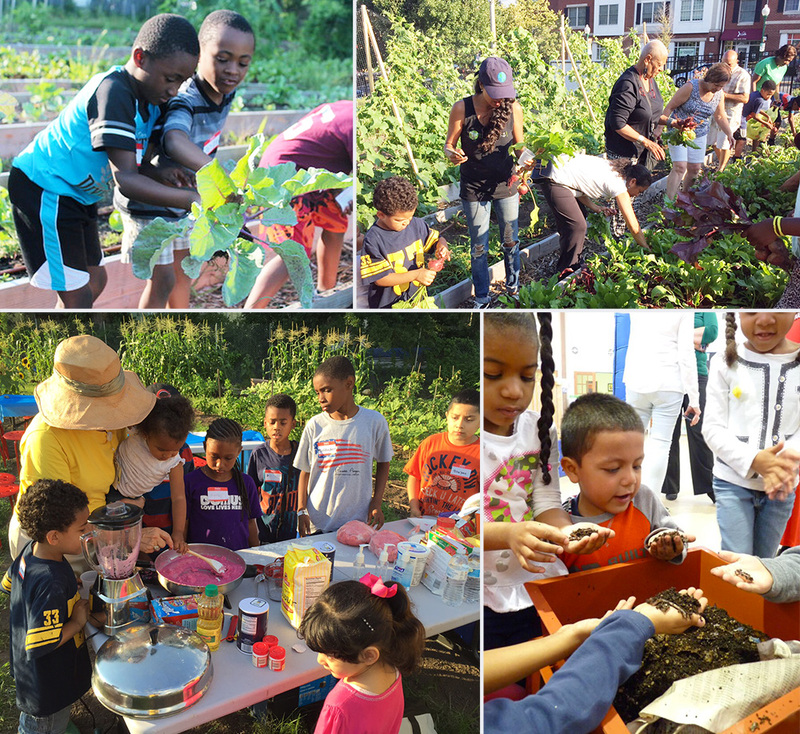 Together we are working to address issues of food insecurity, we are educating our youth about real food and sustainability, and we are building community. Please join us by making a donation. From seeds and soil to our many classes and events, your donation will allow us to keep doing what we do! We hope to be able to increase the amount of food we grow, expand our free educational classes, and provide more opportunities to build a strong community! Any amount is welcome. Help us bring honey bees back to the Farm. Bees not only make delicious honey but they are also important pollinators. In fact, approximately one third of all food crops are pollinated by bees. Imagine a world with no apples, onions, or almonds! Your donation will allow us to add a new hive and bee colony to the farm and expand our educational initiative. We even hope the bees will share some of their honey! $500 will purchase an entire new hive. Who doesn’t love fruit? Apples, peaches, pears, and cherries are some of the best fruit trees in our area, blueberries and raspberries are great too! Help us to add more fruit trees at the farm and increase our fruit production. $100 will allow us to plant one additional fruit tree, or multiple berry bushes. Garden beds provide a beautiful aesthetic and make it easier to work on many crops. With your help we can add more beds around the farm, and replace and repair existing beds. $150 will allow us to add one additional large bed filled with quality organic soil.